Though Thursdays aren't ideal for me, I've decided make posts episodically for this show. I just hope I have enough to say every week! This episode doesn't move at a very fast pace; it was just more or less delving into the characters a bit more as well as opening some semblance of potential plot. Though as colorful as it is, I can understand people not wanting to watch this show because some of the characters can be a bit annoying. So where can a guy get one of these water guns? I didn't expect Haru to have a little sister; she's a less wacky and a more agressive alien. At least she doesn't scream every time she opens her mouth. It's from her that we get any kind of plot going: to fish is to save the world, and it's our protagonist that's going to have to do it. 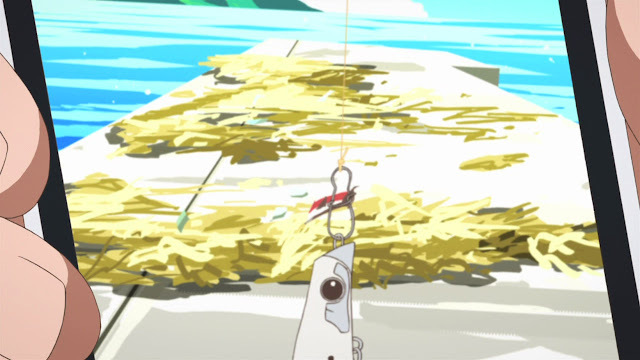 Judging by his lucky catch the previous episode, maybe he has some sort of special affinity for fishing. 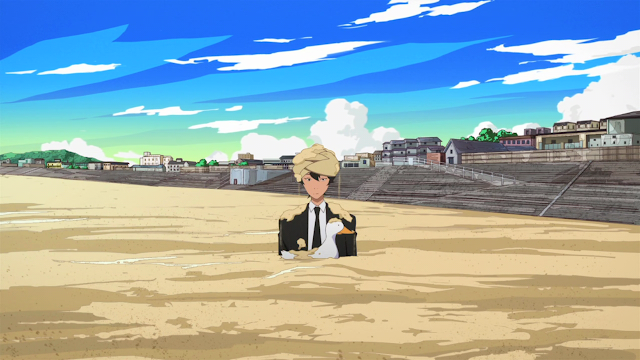 What kind of mystery fish lurks the calming blue waters of Enoshima? Nuu, death flags already? 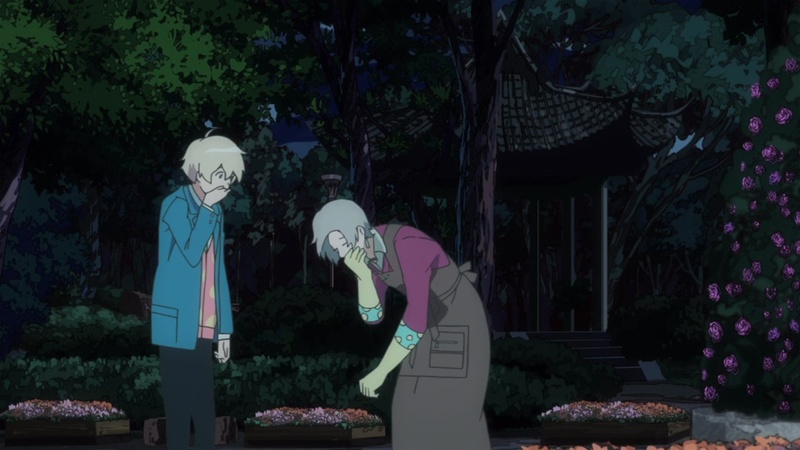 It's not often that there's a cool grandma in anime. 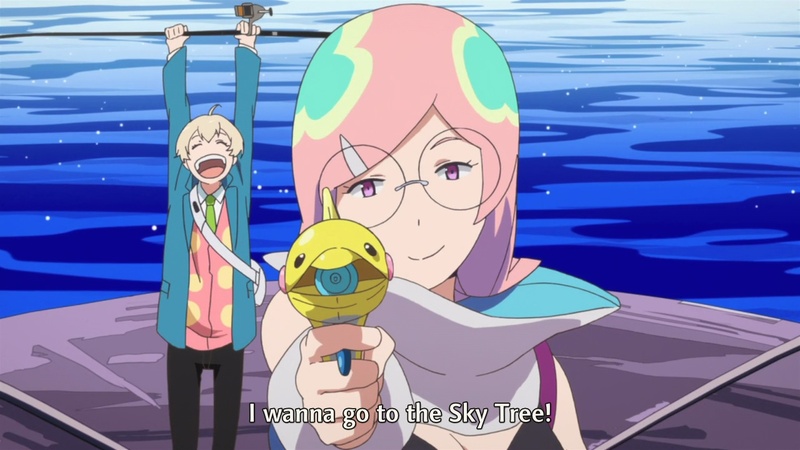 She seems to be one of the more sensible characters in the series. I hope nothing bad happens to her. Maybe eating some of that mystery fish will help alleviate this apparent sickness. This may also open the road for a potential emotional obstacle Yuki has to overcome over the course of the series. Our lesson on fishing this week is on tying uni knots. More importantly, it shows how our protagonist is progressing. 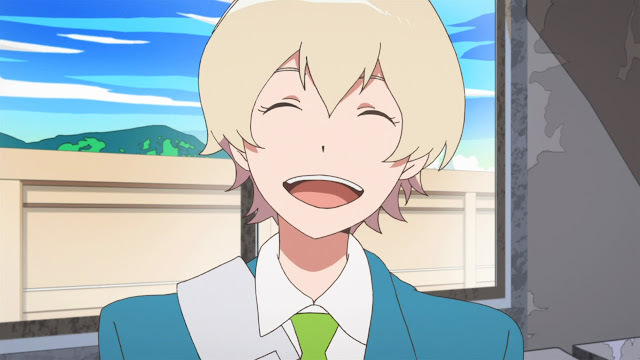 Though we understand that Yuki has never been a good social person, I wouldn't hesitate to say that he can be pretty annoying. He keeps everything bottled up and never says anything about what he's feeling. Though Natsuki was a bit harsh in his berating, he wasn't wrong. At least this episode shows that Yuki will grow as a character. Just can the angst and say what you need to say, maybe you'll make some friends! The final member of the quartet finally makes his move. What anime would be complete without the mysterious transfer student? Sporting a turban, the 25-year-old transfer student and his duck, Tapioca, already makes them the best duo of the show. We'll probably get a bit more into Akira as a character next week. Overall, we're slowly but surely getting somewhere plot-wise. Hopefully, the assortment of characters will mesh well despite them all being so different.